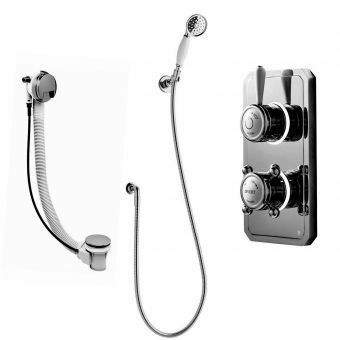 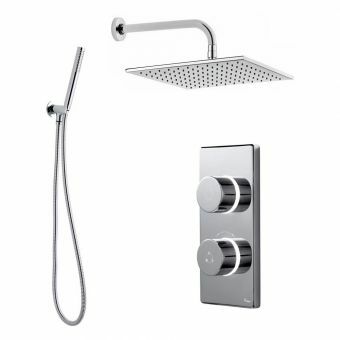 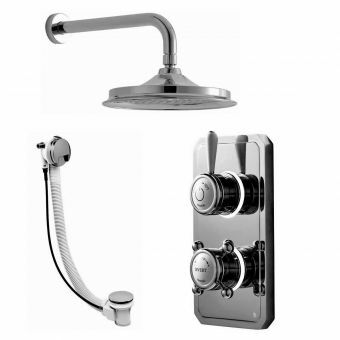 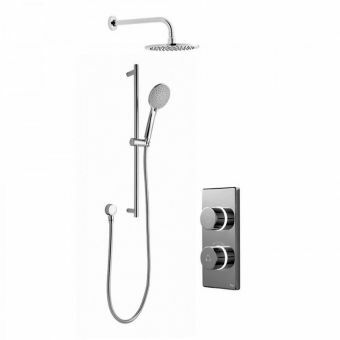 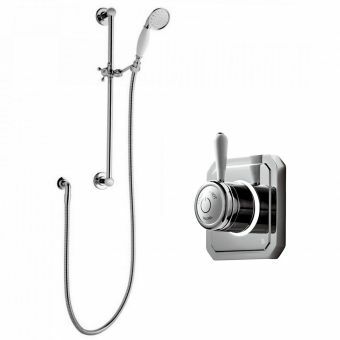 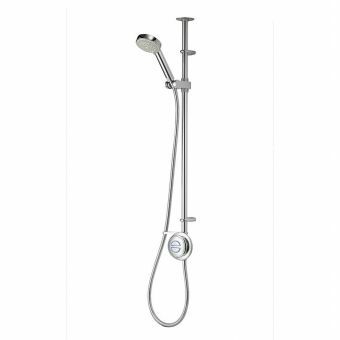 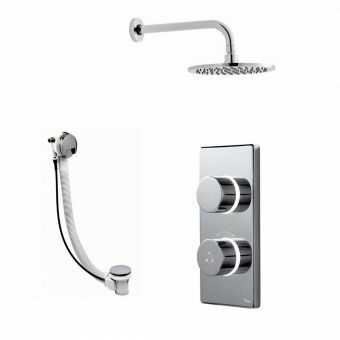 This sleek, stylish shower unit will look perfect in any modern bathroom or shower room. 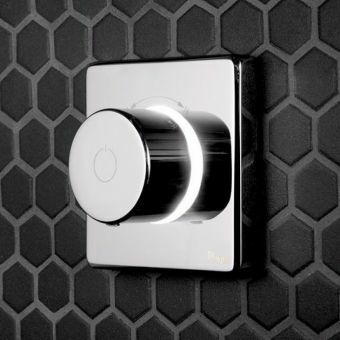 With a smart rectangular face plate and minimal controls, the Bathroom Brands Contemporary 2025 Digital Dual Outlet Mixer for Shower and Bath will inject a sense of grandeur into any bathroom situation. 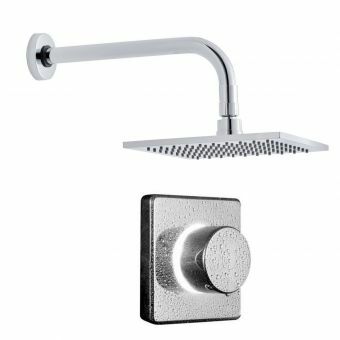 Supplied with two outlets, this meticulously designed mixer set can deliver water to the bath as well as the usual shower above. 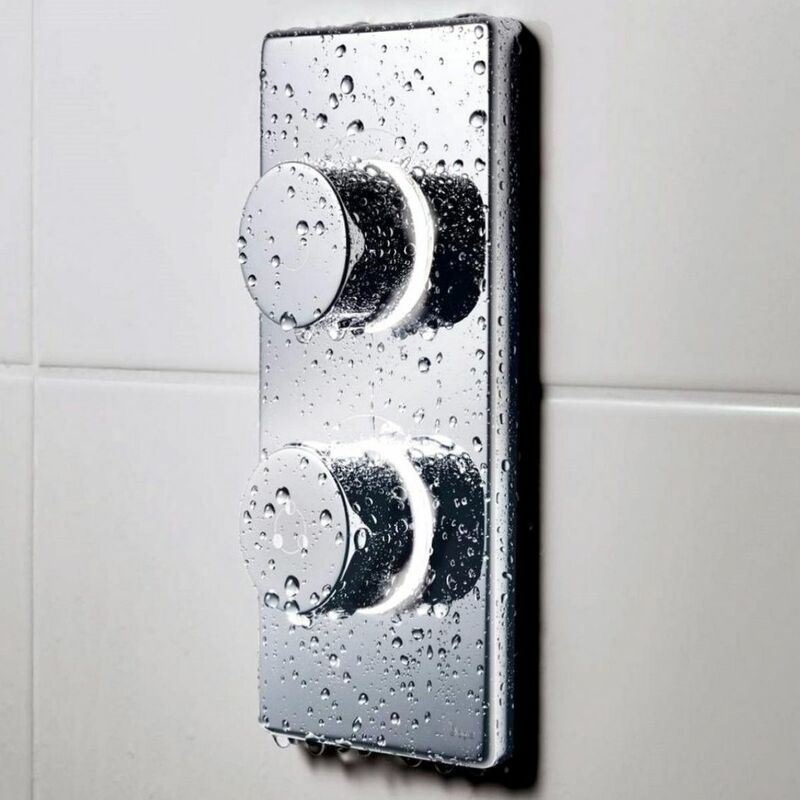 A simple twist of the diverter handle redirects the flow in either direction so whether you want a quick drench or a long soothing bath, this will do both. 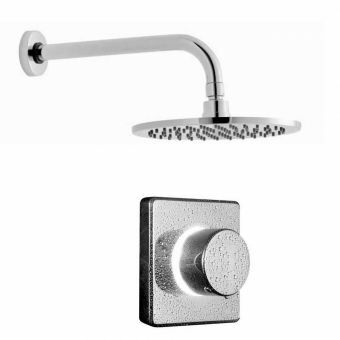 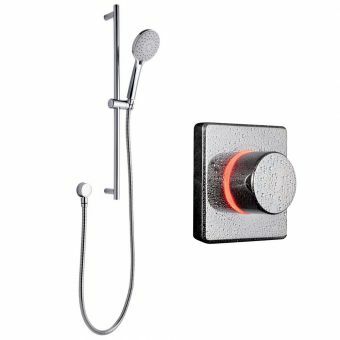 The unique control set features illuminated LED rings set around their bases and illuminate through red white and blue indicating water heating, cooling or running at the correct temperature and with the digital processor monitoring the output 10 times per second, you will always be assured of a safe shower. 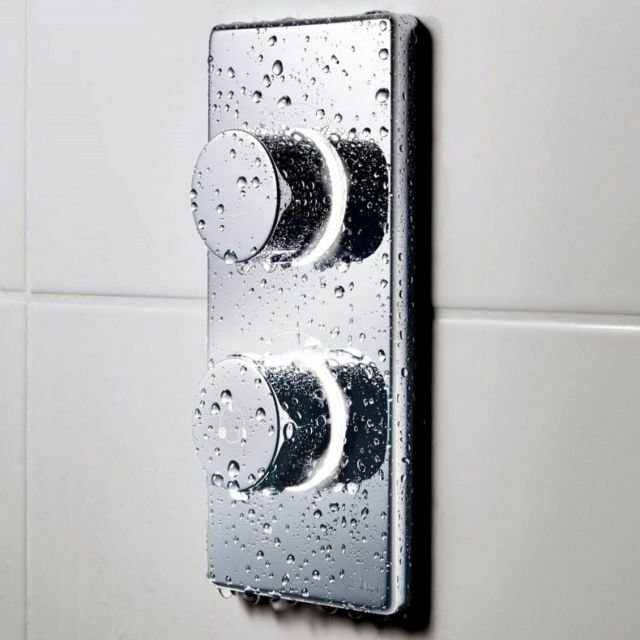 Two versions cater for low or high-pressure systems so you can install it no matter what. 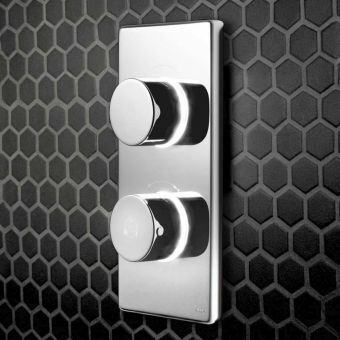 Installation couldn't be easier with push-fit connections for water and electric.